I’m still ploughing through my images from last months trip to the Lake District, this one is just processed and reminds me how lucky I was with the conditions that morning. 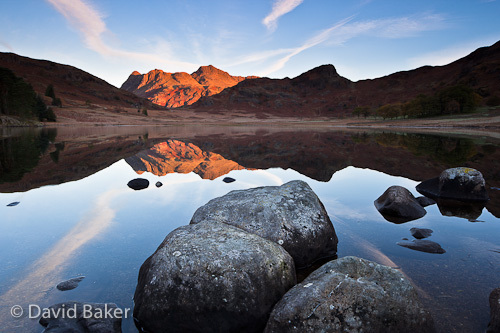 This one taken at Blea Tarn with the Langdale Pikes highlighted in the early dawn light is one of my favourites from the trip. ~ by David Baker on 22 November, 2010.